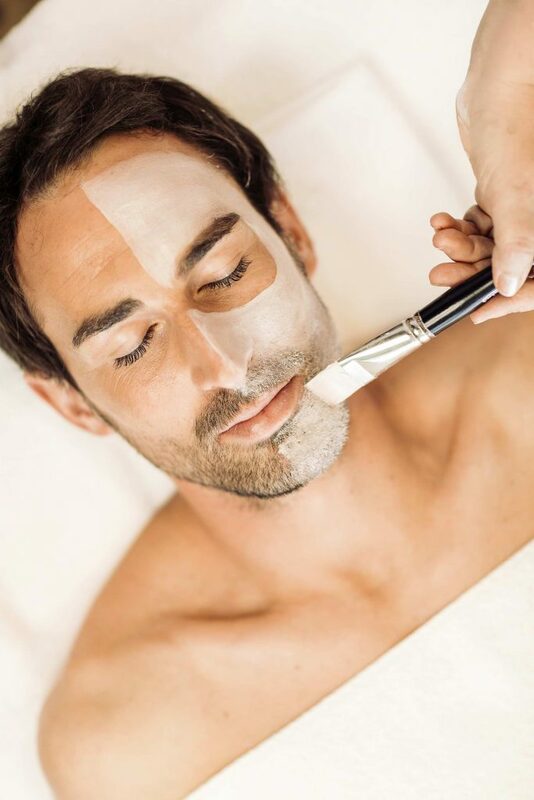 After skiing or hiking, relax in our SPA area. Two indoor pools, outdoor whirlpool, sauna-area with relaxation room, spa-treatments and gym provide maximum well-being. In the pool area, you will find a swimming pool, a massage pool and an outdoor whirlpool. The swimming pool is a generous 14 m in length; the pleasant water temperature offers optimal conditions for swimming. 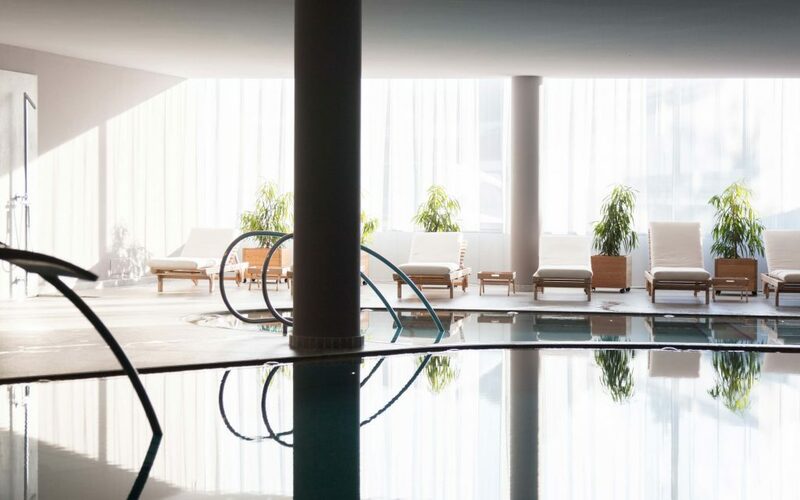 Equipped with a countercurrent system, the soothing swimming units can do your body a world of good. The massage pool is smaller, warmer and equipped with various massage jets and underwater massage tables. The outdoor whirlpool is located on the wooden terrace and is accessible from the wellness area and the hotel bar. Applications with high-quality cosmetic products from the Dolomites. The sun deck made of local pine wood offers the best conditions for sunbathing in the summer months. 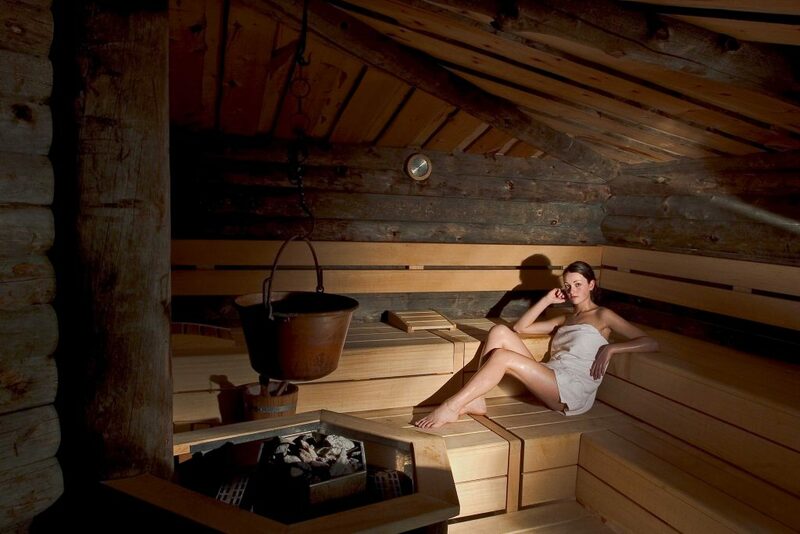 With temperatures of 70°C - 85°C, our saunas offer the best conditions for every sauna-goer. In the fully equipped fitness room you will find a variety of endurance and strength training equipment. The Finnish Sauna is build in kelo wood. This dead and naturally dried wood from the polar spruce tree is the result of decades of dehydration in the dry, cold polar climate of the Finnish woodland and emanates a pleasant natural scent. The thermal structure of this sauna is extremely comfortable and very beneficial. 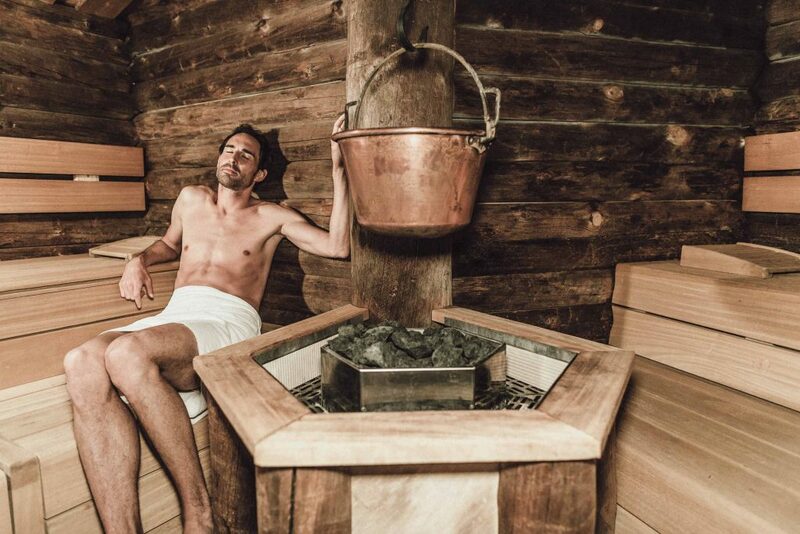 The intense effect of temperature and natural mountain herbs make the organic sauna something extraordinary. The herbal selection used from the local organic herb farm, Kräuterhof Pfleger, also makes this sauna a special experience. The scent and effect of these herbs relax both body and mind. 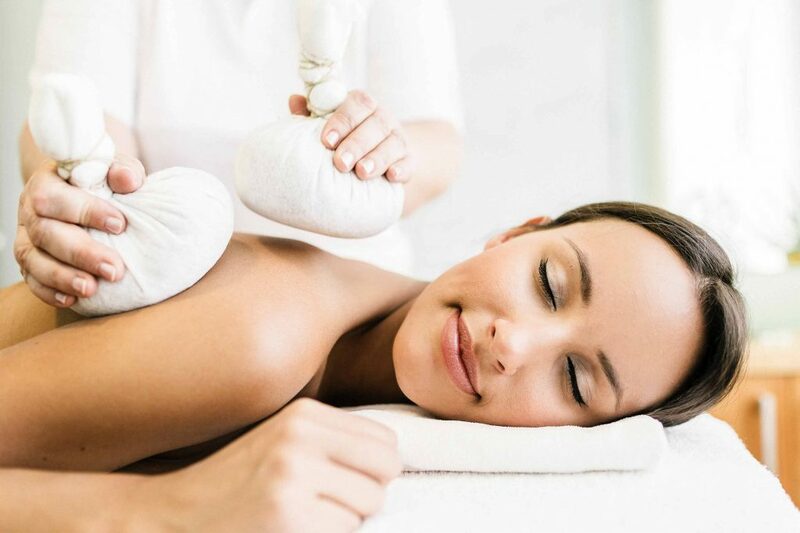 The moderate temperature and high humidity relax the muscles and are regarded as gentle on the circulation. You can already notice the addition of fine essences when you enter the bath, which is particularly beneficial for the respiratory tract. After the heat comes the cold. The ice room with “crushed ice“ is ideal for cooling and regeneration between sauna sessions. 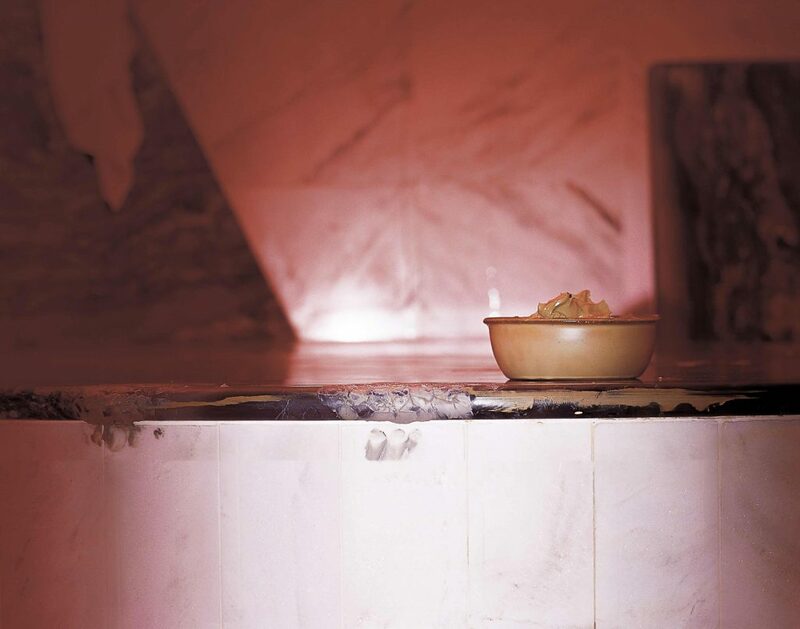 The Melmarium, a mud bath, is ideal for soothing treatments for skin and body. The interplay of heat, infrared and steam guarantees optimal absorption of the active ingredients through the skin.